For the on-orbit reconfiguration problem of spacecraft attitude control systems under multi-mission constraints, the idea of a reinforcement-learning algorithm is adopted, and an adaptive dynamic programming algorithm for on-orbit reconfiguration decision-making that is based on a dual optimization index is proposed. Two optimization objectives, total mission reward and total control cost (energy consumption), are defined to obtain the optimal reconfiguration policy of the spacecraft attitude control system reconfiguration, and the on-orbit reconfiguration model for multi-mission constraints is established. Then, based on the Bellman optimality principle, the optimal reconfiguration policy formulated by the discrete HJB equation is obtained. Since the HJB equation is difficult to solve accurately, a method of bi-objective adaptive dynamic programming is proposed to obtain the optimal reconfiguration policy. This method constructs a mission network and an energy network. The method then adopts a Q-learning-based algorithm to train the networks to estimate the values of total mission reward and total control cost to achieve the on-orbit optimal reconfiguration decision under multi-mission constraints. Simulation results for different cases demonstrate the validity and rationality of the proposed method. Recommended by Associate Editor Niket Kaisare under the direction of Editor Jay H. Lee. This work is supported by Natural Science Foundation of China (Grant No.61673206), 13th Five-Year Equipment Pre Research Projects of China (Grant No.30501050403), the Fundamental Research Funds for the Central Universities of China (Grant No.NZ2016111), and Science and Technology on Space Intelligent Control Laboratory of Beijing (No. ZDSYS-2017-01). Yuehua Cheng was born in 1977. She is an associate professor in Nanjing University of Aeronautics and Astronautics. Her research interests include fault tolerant control and reconfiguration and their applications to satellite attitude control systems. Bin Jiang was born in 1966. He is a professor and dean of College of Automation Engineering in Nanjing University of Aeronautics and Astronautics. He now serves as Associate Editor for IEEE Trans. 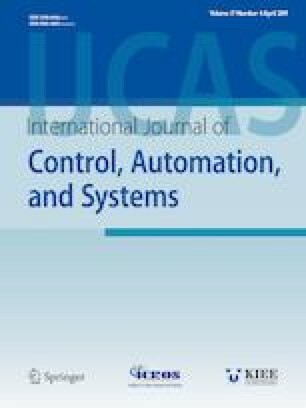 Control Systems Technology; Int. J. of System Science; Int. J. of Control, Automation and Systems; ACTA AUTOMATICA SINICA, Systems Engineering and Electronics, etc.. His research interests include fault diagnosis and fault tolerant control and their applications. Huan Li was born in 1993. She is now a graduate student of Nanjing University of Aeronautics and Astronautics. Her research interests are spacecraft attitude control and mission planning of satellite cluster. Xiaodong Han was born in 1983. He is now a senior engineer in Institute of Telecommunication Satellite China Academy of Space Technology. His current research interests include satellite attitude control, fault detection and diagnosis, fault-tolerant control, and optimization computation.